Chris Brown's community service could turn out to be a life sentence of cleaning up trash if he continues to violate the terms. He was given another 1,000 hours by a Los Angeles judge after the court discovered discrepancies in Brown's previous sentence. Brown was originally sentenced to 180 days of community service for his assault on former girlfriend Rihanna. If Rihanna seems to have forgiven Brown for the attack, the authorities are not quite so relaxed. The Los Angeles district attorney alleged that Brown made fraudulent claims about the community service he had completed. It seems that Brown was flying off to Cancun to party when he should have been picking up litter on the highways in Virginia. The extra 1,000 hours might still come as something of a relief for Brown who could have been thrown in jail if the prosecutor had not agreed to reinstate Brown's probation, which was revoked after an alleged hit-and-run incident in May. 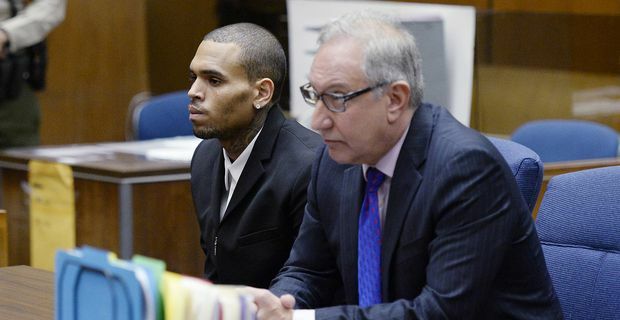 The hit and run charge was dismissed thanks to some persuasive pleas from Brown's lawyer Mark Geragos. Brown was so impressed by his brief's success that he promised him a Lamborghini. Brown at least has a certain freedom of choice about how he performs his community service. He can get back to litter-picking on the highways, opt for beach cleaning or try his hand at graffitti removal. Although removing gang tags off walls might not be too healthy for Brown's gansgsta street cred. The court no longer trusts Brown to perform community service in his home state of Virginia, where he is likely to be tempted by a private jet to a Mexican beach. Brown will have an LA probation officer watching every move from now on. At least the rapper might get some material for another self-pitying lyric for the next album.